Today we are going to be making Standing Witches for Halloween. You can choose to either use the printable template and cardstock to make this item. Or, if you want the craft to be a little more difficult you can use such items as yarn, sticks, construction paper and straw to make the Standing Witch from scratch. The choice is your own. If you choose follow the printable template below to make the Standing Witch. 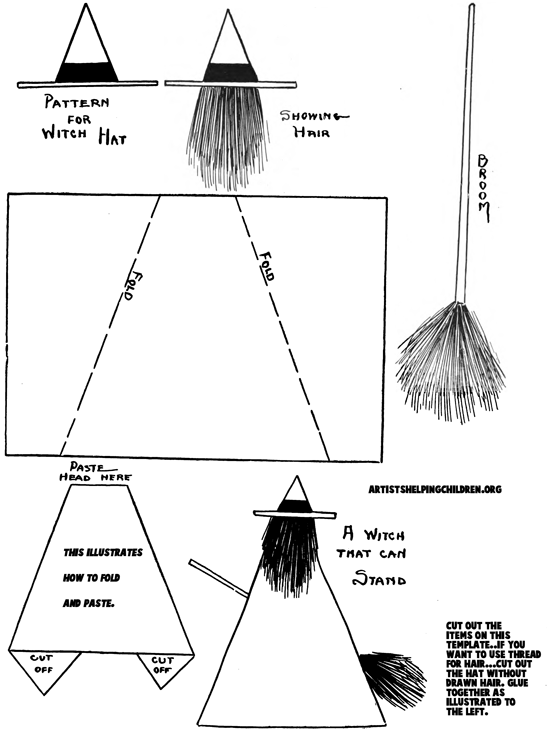 In making this standing Halloween witch, the hat and coat must be drawn on rather heavy paper for it to stand well (with normal paper, if you walk past the witches, they might blow over from the slight breeze otherwise). So you can use normal paper if you want to, but I suggest tracing the patterns onto cardstock or construction paper. As for the hair, you can either use the template provided or use yarn or thread for the hair. It could even be straw pasted on the other side of the hat to hang down. The back of the witch is shown, so that no face will be needed to be drawn. 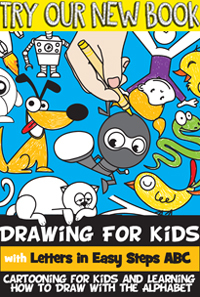 This was intentional, as younger children might get frustrated with drawing a face. Plus, I think the silhouette of the witch is quite nice to look at. If the hair is made with thread, a vertical strip of paper will be needed to fasten the hat at a proper distance from the body, so it might just be easier to use the drawing of hair or paste the thread / yarn on to the cut-out-drawn hair provided. The lower part of the hair will then be pasted on to the coat. The broom may be made either of two ways. A stick may serve as the handle with a few real broom straws tied in a bunch at the end, or the broom may merely be cut from the paper template given like the rest of the witch. It is then pasted on the other side (front side, really) so that it would seem as if the witch was carrying it in her hand. 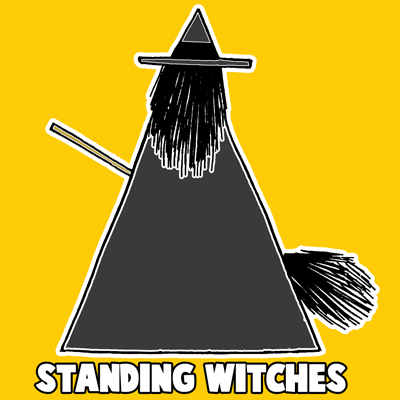 So, as you can see you can make this Standing Witch as easy or as complicated as you would like. This is great for all different age groups.